THE Machines Yvonand SA develops, designs and manufactures all "in-house" precision extrusion lines, resulting in highest performance technology in terms of speed, efficiency and product quality. In order to assure the quality of the manufactured drip emitting pipe, in an efficient and accurate manner, THE offers the DFC101 test bench. The unit is made all-round of stainless-steel, is designed robust, with fast-connectors & easy positioning of the measuring elements, making the testing bench suitable for the most demanding production floor. The DFC101 is equipped with 10 precise measuring elements, closed-looped filtered and temperature conditioned water circuit, resulting with high precision and reliable test measurements abiding ISO9261 standard. The unit permeates to perform several tests, such as flow at nominal pressure, flow at variable pressure, burst tests and more. These are easily selected and monitored during production with user-friendly interface. Additional quality values can be added to the unit in parallel to the flow tests, as tube dimension and spool weight. 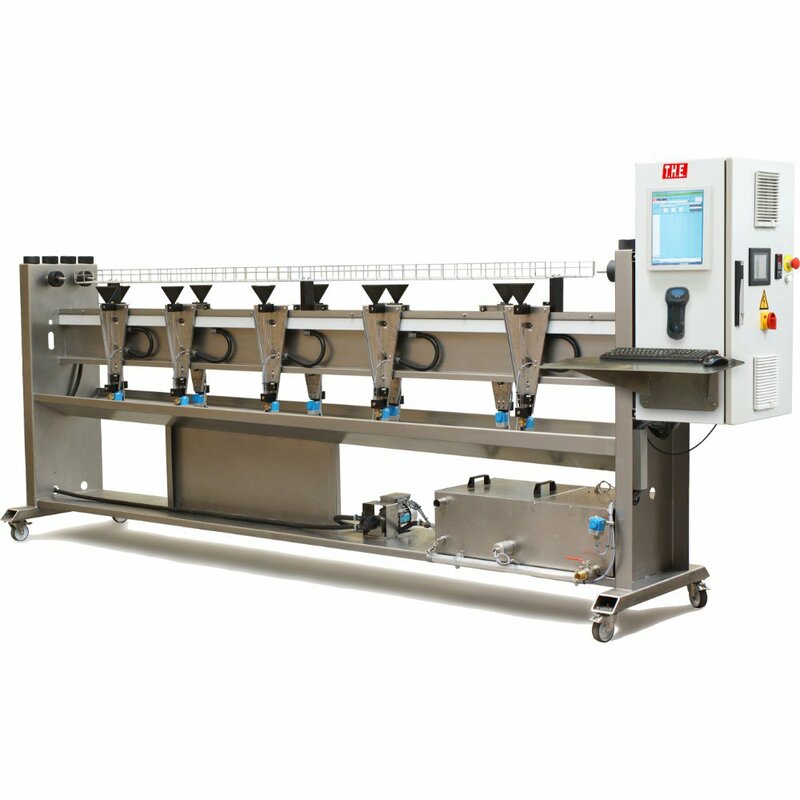 Automatic transfer of the product and production info from the production line can be chosen and QC reports can be easily made and exported to local server.